Use this Printable Virtue Temperance Excel Spreadsheet to track your daily tracking of the 13 virtues. 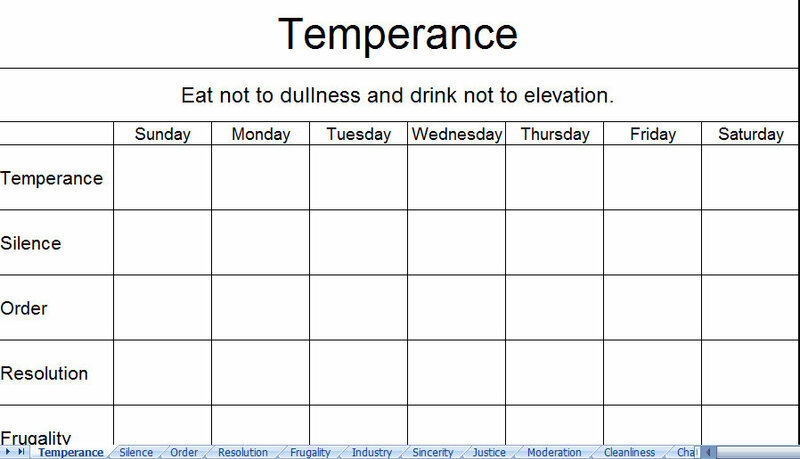 Each spreadsheet in the Temperance Excel Workbook helps you keep track of the virtues. 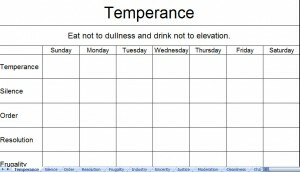 Download this Printable Virtue Temperance Excel Spreadsheet today!